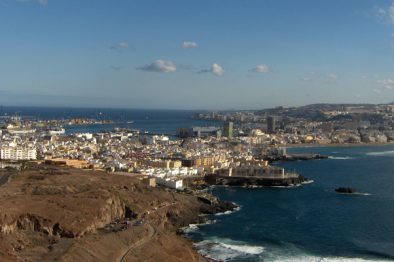 Follow the sun from France to the beautiful Canary Islands. 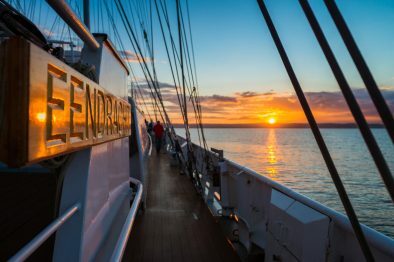 Sail the Eendracht in the 15-day voyage in which you will make many miles and chase the summer! Two weeks of sailing on the Atlantic Ocean with a sub-tropical destination in mind. Open for all Windseekers, minimum age 15 years. You’ll be sleeping in 4-person cabins. Places in double cabins available for a surcharge of 19,50 euro p.p. per night. Brest is a major French port on the Atlantic coast, historically of strategic importance. Much of the town was destroyed during World War II, but some historic landmarks remain. Today Brest is an important navy port, so expect to see war ships berthed in the harbor. Every four years, Brest hosts the international festival of the sea, boats and sailors, with many Tall Ships attending. South of Brest you will find national park d’Armorique, a tranquil reserve where you can escape from the city.